This lesson is the last in a series of three lessons covering Holy Week. 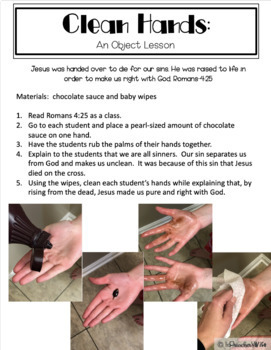 In it, students will learn about Jesus' resurrection. It was originally written for a 2nd and 3rd grade Sunday School class, but can be adapted for grades 1-5. 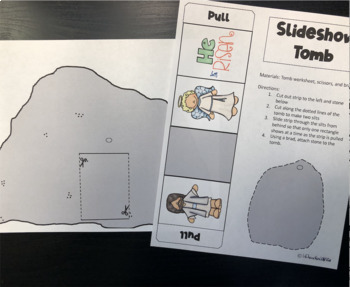 The lesson plan provides a breakdown of Bible verses as well as summaries that can be used to teach students about how Jesus was raised from the dead and why that is important to Christians. This lesson is based on Luke 23:55-24:48 and covers the events beginning with the women finding the empty tomb to Jesus appearing to His disciples. Students will also be able to see how Jesus died because of our sins and was raised from the dead for our justification. 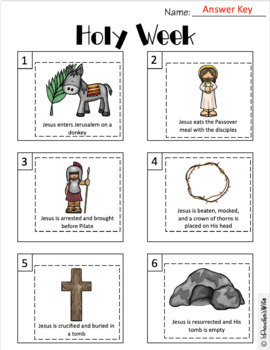 Download the FREE Cross Color-By-Number worksheet for an additional activity! This lesson is part of a money saving bundle that includes 3 lessons. 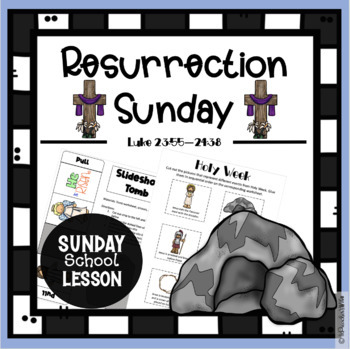 These lessons cover Palm Sunday, Good Friday, and Resurrection Sunday.